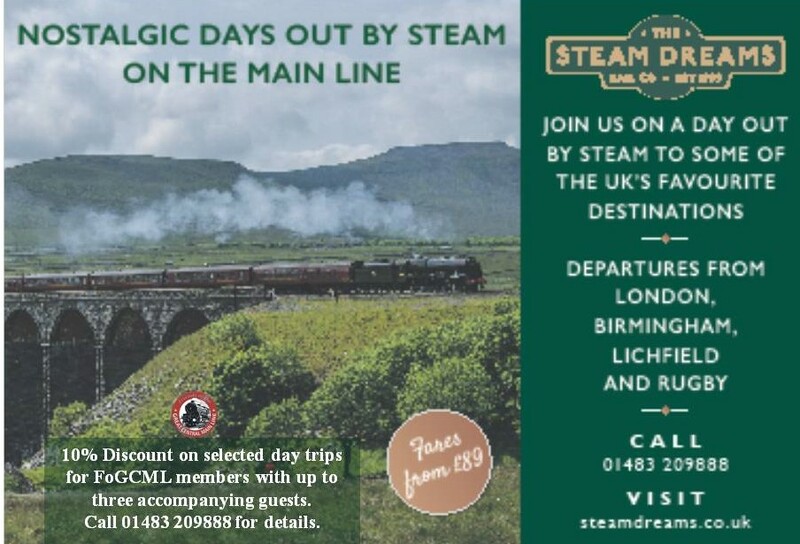 Steam Dreams, the mainline steam train tours company, is kindly offering a 10% discount on their day trips for all members of Friends of Great Central Main Line (FoGCML). The discount is offered to members with up to three accompanying guests. All bookings must be made by phone by calling 01483 209888, quoting discount code GCR10 and your membership number. FoGCML membership must be valid at the time of booking and also on the day of travel. Failure to show a valid membership card on the day of travel will result in the discount being cancelled and full payment will be required before being allowed to travel, similar to how the National Rail Card system is operated. Unfortunately trains hauled by the "Flying Scotsman" and multi-day holidays are not included.